This facility exemplifies 21st century classroom design, learning practices and pedagogies, well placing BBC on the Australian and world stage. The building has been designed around three main principles - community, flexibility and sustainability. This building development has finalised the three school campuses (junior, middle and senior) and provide a cohesive link between these through a central college heart. Importantly, these developments overlay 21st educational practices and tools, flexible design principles and an integrated pastoral care model, resulting in a K-12 educational facility without equal. The building has been designed to be flexible in all areas, with every space having more than one use. Minimal fixed joinery and furniture has be used, so teachers and students are not locked into any one way of working. Technology is also ubiquitous and flexible – gone are the days of a solely didactic classroom where a teacher stands in one place delivering a PowerPoint at students. Outdoor teaching spaces on each level encourage flexible and relevant delivery for students. 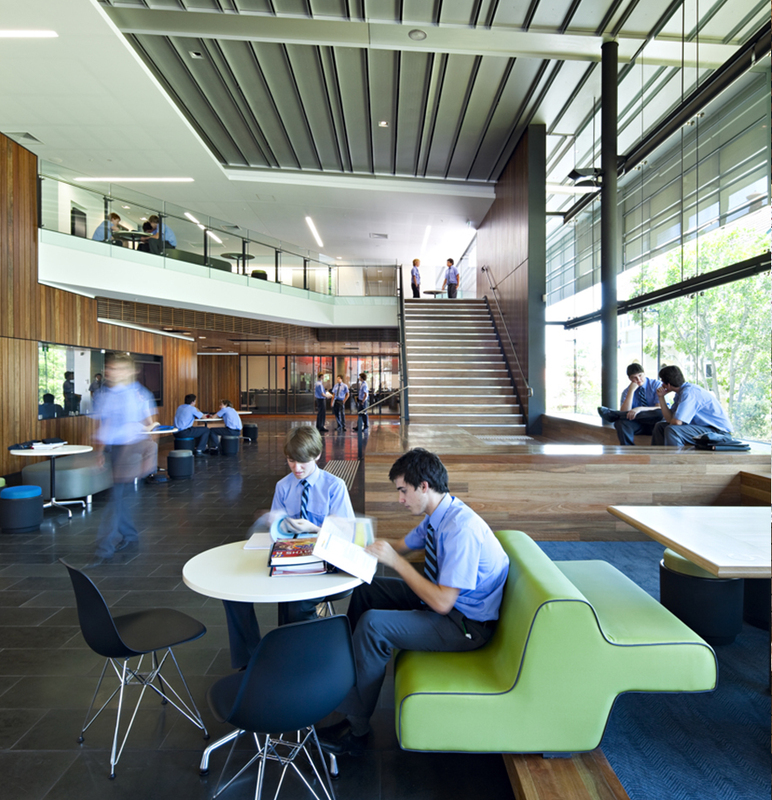 The design of the spaces enables flexible pedagogies to be used. The planning of the new building provides for extending the learning environment to spaces outside of the classrooms, creating social opportunities as much as student led learning opportunities. This transition between classroom and informal spaces allows for greater transparency and engagement between students and teachers within their school environment.